All and Sundry: IPSA and austerity: £1.5 billion sprouts: Dahn Unda fuels: Rainwater tax: Smart E Pants: and a Big bike. IPSA and austerity: £1.5 billion sprouts: Dahn Unda fuels: Rainwater tax: Smart E Pants: and a Big bike. Out of atmospheric movement, oodles of lack of warm, overdone on the solar stuff and only a smidge of skywater at the Castle this morn, last day of putting white glossy stuff on the woodwork-just one door and a few yards of skirting to go. 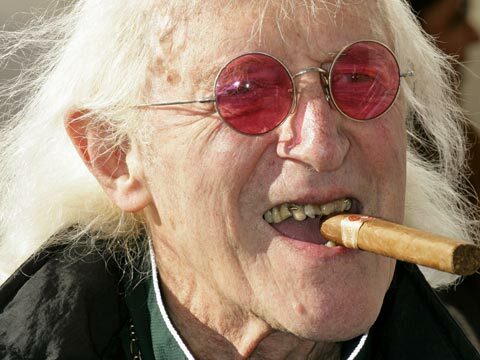 Allegedly IPSA (the Independent Parliamentary Standards Authority) has come up with a cunning plan to increase costs during this age of “austerity”, they want to bump up MPs salaries from £65,738 to £92,000 per horriblis annum from 2015 under plans to link politicians’ pay to average earnings. In a consultation document yesterday Ipsa dismissed the idea that their salaries should be linked to those of higher-earning public sector professionals, such as doctors or head teachers. 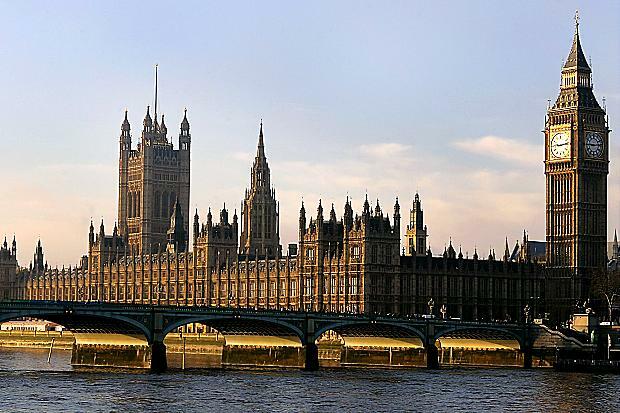 It said, however, that there could be a case for a “simple formula” to determine MPs’ pay increases during a five-year parliament. “There have been suggestions that we could base the level of MPs’ pay on a multiple of national average earnings. We could then also index MPs’ pay so that it would remain at the same multiple of national average earnings each year,” it said. Its review said suggestions for the appropriate multiplier for calculating salaries had ranged “from 1.5 to 4 times national average earnings”. On the basis that the current average pay is £23,000 a year, four times that amount would produce a pay packet of around £92,000 for MPs. It also rejected the notion of basing remuneration on performance or time served in the Commons and suggested a link to earnings before entering parliament would “disadvantage some candidates”. Apparently bollixed up Blighty may face an extra £1.5 billion bill to pay for the increased costs of Brussels bureaucracy, as governments warn that the cost of pensions for EU officials is set to double. 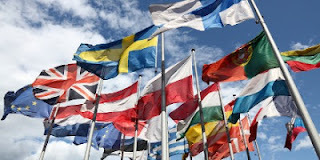 According to the Torygraph they have seen a confidential letter, signed by Britain and seven other governments, which reveals that they are "very concerned" because the cost of EU pensions is forecast to double to more than £2 billion a year by 2045. Eurocrats already retire on a gold-plated 60 per cent of final salary scheme – on average £57,000 each – which costs the cash-strapped national governments almost £1 billion a year. But it is growing fast because of the increased number of staff employed as the EU expanded from 15 to 27 countries since 2004. The letter, from the eight countries that pay more into the EU budget than they get out of it in benefits, also reveals that the European Commission is demanding a 26 per cent increase to pay for the costs of its civil service for the next seven year budget period. The proposed 2014 to 2020 budget would take the cost of the European civil service from £45 billion to £57bn, an increase that countries say is wrong at a time when national public sector workers are facing job losses and pay freezes or cuts. An Australian Institute of Petroleum weekly report shows the national price for unleaded petrol rose 0.8 cents to an average price of 146.5 cents a litre for the week ending October 14. The metropolitan price rose 0.5 cents to 145.1 cents a litre, while the average regional price increased 1.1 cents to 149.3 cents a litre. CommSec economist Savanth Sebastian says fuel prices are near the highest prices in five months and the likelihood is for more petrol rises. "The terminal gate (wholesale price) has risen by a further two cents over the past week and it is likely that fuel prices will track highly over the coming fortnight," he said. The average national terminal gate price for unleaded petrol was 137.9 cents a litre on Monday, up 2.0 cents on a week ago, CommSec said. He said CommSec forecast the national average petrol price could rise between two to three cents a litre over the next fortnight. 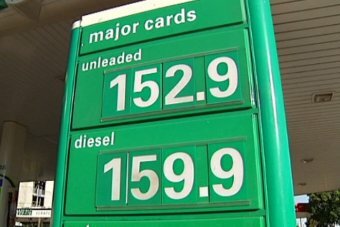 Melbourne had the cheapest unleaded fuel last week, down 1.7 cents to 142.2 cents a litre*, while Darwin remained the dearest, up 0.3 cents to 161.6 cents a litre. To the land where they are all in Blighty the Polish Gov is considering a draft law, which stipulates a tax for rainwater. 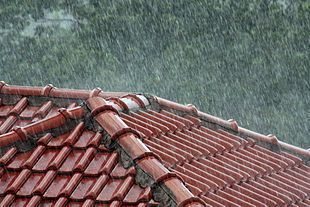 Common citizens, who own a house or an apartment, as well as businessmen and traders, will have to pay for rain. The amount of the tax will directly depend on the square footage of the roof that they have in their property, Noviye Izvestia reports. The bill was prepared by the ruling party of Poland, Civic Platform. In reality, it does not go about rain - the bill targets the collective disposal of sewage. During rainfalls, the sewage system deals with a significant load which is particularly high at such places as car parks, near major shopping centres and in industrial areas, reports The 8th Channel. As an experiment, this procedure has already been introduced in several cities of the country. The majority of ministers believe that the experiment was successful. The residents of Poznan, Koszalin, Bielsko-Biala, Bytom and Vrotslav have paid the tax. They pay an average of $10-15 per year, whereas the municipal budget receives $1.5-2 million, Vesti.ru reports. Scientists have developed underwear with built-in electrodes that deliver small electric shocks to combat bed sores in patients who are in a coma or who have injuries that have immobilised them. 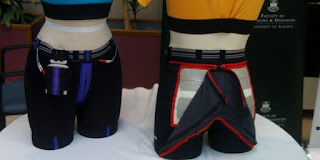 At the annual meeting of the Society for Neuroscience in New Orleans on Monday, they reported results from a trial of the "Smart-e-Pants" system, a way to reduce the incidence and costs of treating bed sores – also known as pressure ulcers – by electrically stimulating the buttock muscles of patients. Sean Dukelow of the department of clinical neuroscience at the University of Calgary in Canada, who led the study, said the pants worked so well in the small trial that none of the patients involved got pressure ulcers for the month of the experiment. "Most of them wanted to keep the device after they were done," he said. Wonder if you can wear them back to front? 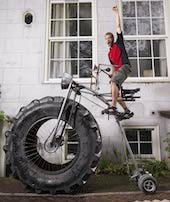 At 1,650 pounds, this bike built by Wouter van den Bosch of the Netherlands is the heaviest rideable bike in the world -- and was ridden in Arnhem (also in the Netherlands) back in 2010. "plans to link politicians’ pay to average earnings." As they are handing everything over to the EU, their pay should be on the way down. Should we really be surprised CherryPie?